At this afternoon’s meeting of the Conservative Agenda, Political Insiders were asking our Beloved Whistleblower Publisher Charles Foster Kane why Our Always Politically Correct Local Kneepad Liberals hadn’t honored Harambe on the first anniversary of his murder earlier this week. 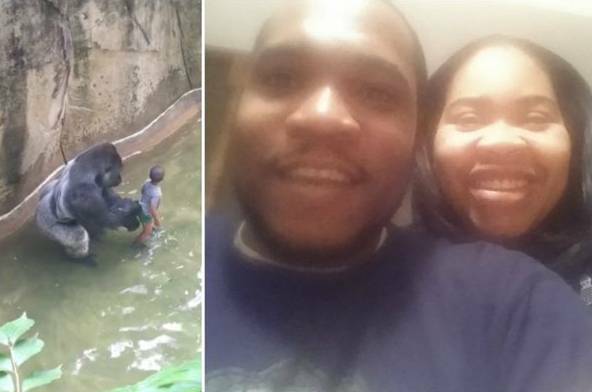 Black People Were Crying “Racism” After Harambe The Gorilla Was Shot and Killed to Save A Boy Who’d Fallen Into The Gorilla Exhibit At The Cincinnati Zoo. Kane remembers last year’s “Gorilla Lives Matter” E-dition when The Blower exclusively reported that big Gorilla Lives Matter protest for the killing of Harambe at the Cincinnati Zoo after the Drudge Report said the murdered Gorilla-American had been seen protecting a child. The next day The Fishwrap confirmed investigators were “looking at the facts and circumstances” that led a four-year-old boy to end up in the moat surrounding the Cincinnati Zoo’s gorilla exhibit. Lt. Steve Saunders said “it’s too early to say whether it was recklessness on the part of the parent.” But Hamilton County Prosecutor “Jaywalking Joe” Deters said after the police investigation was completed, his office would “confer with” police about possible criminal charges. So why didn’t our Feckless Fishwrappers make a BFD about Honoring Harambe? Wouldn’t that have made a great “Racial Justice” story this week? “Not with all that great publicity The Fishwrap is giving Judge “Gizzy Lizzy,” Jack Greiner, and ‘JayWalking Joe’ Deters at the Tensing Re-Trial,” Kane explained. 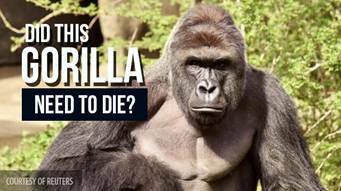 This entry was posted in Uncategorized and tagged "Racism", “Politically Correct”, “Racial Justice”, ” Jack Greiner, and ‘JayWalking Joe’ Deters, Cincinnati Zoo, Gorilla Lives Matter, Judge “Gizzy Lizzy, Local Kneepad Liberals, Mark Dice, Tensing Re-trial on June 1, 2017 by charlesfosterkane.